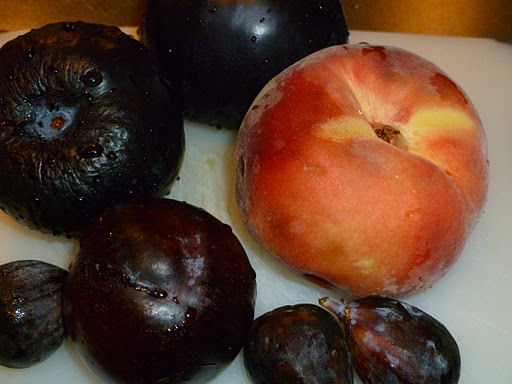 The grocery stores are unloading the last delights of summer… peaches, plums, apricots and nectarines. They might start to look soft or wrinkled, but don’t just pass them up. 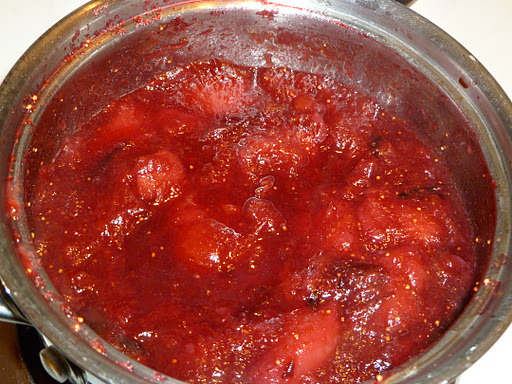 Buy them immediately and make homemade stone fruit jam. This is my favorite way to use fruit that is past it’s prime but would taste amazing if only you had the time to bake. If a plum or similar item has begun to turn, I put it in a bowl in the fridge until I’m ready to work with it, which keeps waste to a minimum. This is pretty fool-proof, so experiment with your seasonal options. 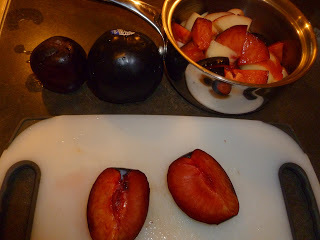 Wash fruit, remove pits and cut into small pieces. Place into a small sauce pan with port and sugar; mix to coat. 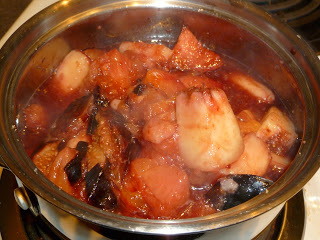 Cover and bring to a boil, then reduce heat to a low simmer and cook for 40 minutes or until fruit is soft and syrupy. You can leave it a little chunky, or cool and puree in a blender. 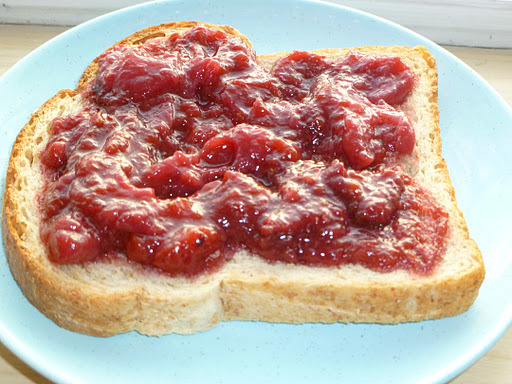 Store in a glass jar for up to 2 weeks.